Iran plays a critical role in the Persian Gulf and, with its strategic geography, totally dominates the northern gulf and the Strait of Hormuz. But does it have enough resources to block and hold the strategic route in the event of military conflict? ­Iran is a relatively inferior military power in comparison with the US and other NATO countries, but it has the ability to deliver major blows which are difficult to counter at larger conventional forces. The chief editor of National Defense magazine, Igor Korotchenko, believes that Iran’s military is not capable of achieving a victory against the US in a direct confrontation. Because of the asymmetric measures that Iran can bring up in a conflict, the price of victory could be unacceptable for the US, Korotchenko said. 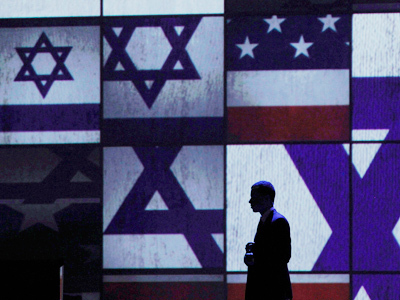 Having limited assets on hand, Iran has to develop a strategy of conducting an asymmetric war. Thus Iran’s warfare is oriented at using its weaponry in unconventional ways and capitalizing on the country’s favorable geography. Iran’s leadership adheres to a "no first strike doctrine” and thus Iran has launched no wars of choice in modern history. The Iranian constitution prohibits the establishment of any foreign military bases in the country, even for peaceful purposes. 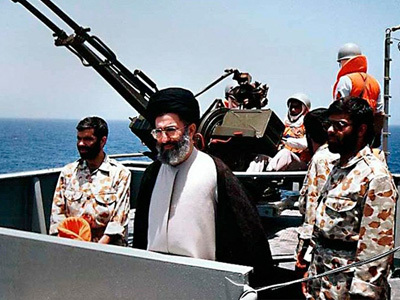 ­Following the Islamic Revolution of 1979, Iran divided its armed forces into regular and revolutionary components. This means Iran has two active armies: the Islamic Republic of Iran Army (Regular army) and the Army of the Guardians of the Islamic Revolution (Revolutionary Guards, IRGC). The IRGC is a combined arms force with its own ground forces, Navy (IRGCN), Aerospace Force (IRGC AF), Intelligence, and Special Forces. Whereas the regular military defends Iran's borders and maintains internal order, the Revolutionary Guards are intended to protect the country's Islamic system. Both armies operate in parallel and share military facilities, but the IRGC has a higher status and a preference in receiving modern inventory. The asymmetric strategy proved itself to be efficient during the Iran-Iraq War (1980-1988). 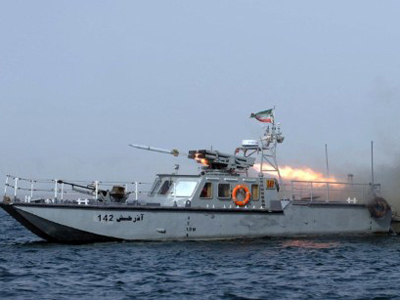 Iran was conducting successful hit-and-run operations using groups of small boats against vessels passing through the Strait of Hormuz. Combined with extensive mine-laying in the strait, the guerrilla tactics allowed Iran to sink over 500 vessels during the war. 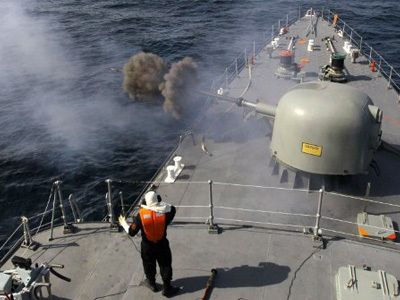 However, in a direct confrontation with a US fleet after an Iranian mine caused damage to a US frigate, Iran’s navy was crushed. Today IRGCN operates over 1,500 small boats, which can be easily hidden in the coastal zone and do not need a large port to provide supplies. Most of these boats can be or already are equipped with short-range missiles and mines. An unexpected attack of a group of such boats can bring down almost any vessel that dares to enter Iranian waters. Iran’s forces are covered by an extensive network of coastal based anti-ship missiles and air-defense systems. 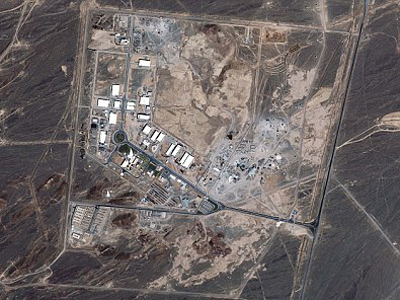 Being quite vulnerable to a serious air campaign, Iran has also decentralized its command structure, thus improving the resilience of its forces after an initial strike. ­Iran tends to keep its military equipment in fair condition, ready to be deployed where and when necessary. This was confirmed during Iran’s regular naval exercises. In many cases Iran used drills to test its new weaponry, such as the Ghadr medium-range ballistic missile. 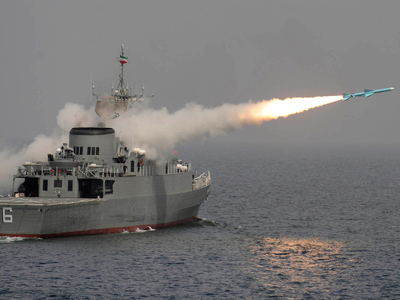 The success of the latest test-launches on January 3 made Iran’s navy chief, Admiral Habibollah Sayyari state that from then on the Strait of Hormuz would be completely in Iran’s control. ­The Ghadr-110 is a medium-range ballistic missile designed, developed, and manufactured entirely in Iran. It is an improved version of the Shahab-3 missile with higher maneuverability and a shorter set-up of only 30 minutes. The missile has a range of around 2,100 kilometers. It was successfully test-launched during Iran’s latest Velayat-90 military drills on December 24, 2011 – January 3, 2012. 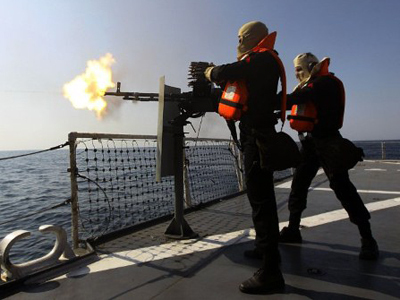 ­The purpose of Iran’s naval exercises is not only to flex its muscles in front of the world, but also to improve its military training and proficiency and sharpen the strategy of conducting operations within its territorial waters. Iran’s military has a significant share of military hardware produced by the West, some of it more than 30 years old, which is hard to maintain under the embargo. Iran’s fleet consists of ships of US, French and British designs. Iran’s three largest submarines, which were supplied by Russia, are over 15 years old and there are no reports of any overhaul maintenance being done. Russian MiG-29 and SU-24 and Chinese F-6 and J-7 jets are the basis of its air force. Iran actively replaces the foreign hardware that goes out of commission with domestically produced weaponry and constantly increases its military efficiency. ­After the revolution, Iran found itself severely isolated due to economic sanctions and a weapons embargo put on Iran by the United States and had to rely mostly on its domestic arms industry. The IRGC was put in charge of creating the modern Iranian military industry. 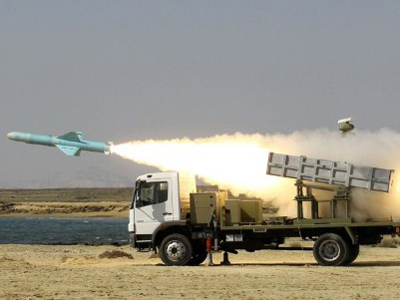 Today Iran is capable of producing a full range of weaponry from fixed-wing aircraft, helicopters, boats and submarines as well as radar systems and sophisticated air defense systems. However, the systems that the US provides its gulf allies are far more advanced than Iran’s military technology. Iran has focused on developing smart munitions, light attack craft, mines, and ballistic missiles to counteract other military powers. Iran has devoted a lot of effort to developing its own ballistic missiles. In recent years it has developed such weapons as the Fajr-3 and Kowsar medium range ballistic missiles, the Fateh-110 short-range surface-to-surface missile, and the Shahab-3 missile, which became the backbone of Iran’s strategic missile inventory. For its submarine force, Iran has developed the Hoot supercavitation torpedo, allegedly reverse engineered from the Russian VA-111 Shkval. Iran locally manufactures the Shahin and Mersad air defense missile system, which are improved versions of the 1960s US MIM-23 Hawk system. Iran is also known to produce and operate unmanned drones which are used for surveillance. ­Iran’s air force operates about 200 combat type aircraft, some 120 transport aircraft, and over 500 helicopters. The list of bases and airports operated by Iran’s military includes 14 tactical air force bases, 18 military air fields, and 22 civil airports that can be used for military purposes. Iran’s air forces consist mainly of Soviet and Chinese aircraft, as well as ex-Iraqi aircraft pressed into service. Some of the older aircraft are American, which the air force has managed to maintain in service. Iran is capable of producing second generation Azarakhsh and Saeqeh single-seat jet fighters, derived from the American Northrop F-5. Iranian officials claim the Saeqeh to be similar to the US-built McDonnell Douglas F/A-18 Hornet. According to latest reports Iran has around 30 of these aircraft in operation. All Iranian aircraft are equipped with locally-manufactured missiles and do not rely on foreign supplies. ­According to open sources Iran’s naval forces have a total of around 26 submarines, 4 frigates, 3 corvettes, 24 missile patrol craft, 7 mine warfare ships, and over 270 coastal and inshore patrol craft. Three of Iran’s submarines are Russian-built Kilo class naval diesel-electric subs mainly intended for anti-shipping and anti-submarine operations in the relatively shallow waters of the gulf. Iran also has around 17 small domestically produced Ghadir-class subs, capable of firing the Hoot supercavitating rocket torpedoes, which makes them a significant threat to hostile ships and submarines. ­Ghadir is a class of midget submarines built by Iran specifically for cruising within the shallow waters of the Persian Gulf. 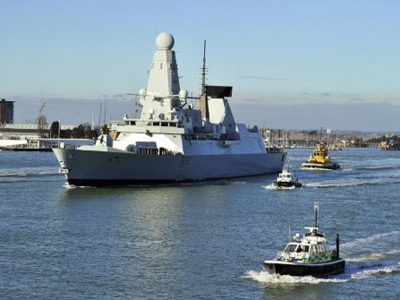 The submarine is equipped with the latest military and technological equipment and its capabilities are believed to be equal to those of foreign types. The Ghadir class submarines are capable of firing the Hoot supercavitating rocket torpedoes. Ghadir submarines can also be used to deploy divers for special operations, such as laying mines. ­Considering that the Strait of Hormuz is quite shallow and has only two narrow navigational channels, it would not be a challenge at all to block the strategic pass, especially with Iran’s experience in mine-laying operations, says Korotchenko. The main concern of the West is Iran’s ballistic missile and nuclear programs. Iran has created armed ballistic missile forces that are capable of striking at any US allies and US bases in the region. It is claimed that Iran has accumulated several thousand short- and medium-range mobile ballistic missiles. Iran’s ballistic missiles could also be configured to carry nuclear warheads if Iran can develop them. Iran still claims that its nuclear program is peaceful, but many in the world community believe that it is aimed at producing nuclear weapons. 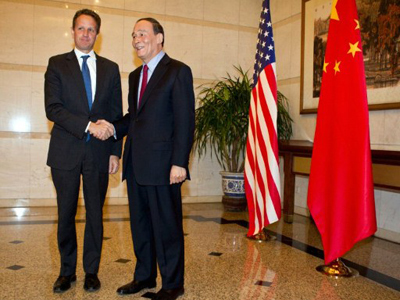 According to such military gurus as Anthony H. Cordesman of the Center for Strategic and International Studies, it is quite possible that Iran may acquire deliverable nuclear weapons within the next five years. 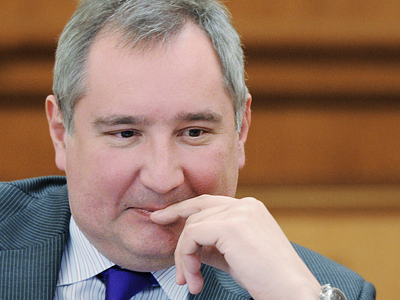 Igor Korotchenko believes that Iran would use its ballistic might without hesitation if required. The only question that remains is how effectively this would work from the engineering side. Fear and loathing in Central Asia: Will US go to war with Iran?